When you’re operating an e-commerce business, you want to see your site’s traffic increase, but it can be frustrating when that traffic isn’t engaged and doesn’t convert. However, seeing an increase in conversions followed by a large return rate is even worse. This is a good reason to look at some methods of converting those returns into sales. It’s unreasonable to expect the return process to be free of hassles on your company’s end, but making it appear so to the consumer is crucial. Consumers want a “hassle-free, no-questions-asked” return policy along with an easy-to-print shipping label. And yes, those consumer preferences can be traced back to Amazon. Keep in mind though, a chief goal of your e-commerce business should be to build customer retention. Yes, bringing in new users is important too, But if they never come back, you won’t be in business for long. Here’s where it gets a bit counter-intuitive. Returns actually represent an opportunity to boost retention simply by delivering an admirable return experience. Put yourself in the consumer’s shoes: would you shop a store again if you were easily able to return something? According to a study published in The Journal of Marketing, providing free returns can have customers spending up to 457 percent more with you. Meanwhile, spending for customers that were asked to pay for return shipping dropped by 75-100 percent after two years. The message is clear: if you want friendlier return margins, your brand will eventually be shunned, and you’ll be out of business. Still, E-stores need to do everything they can to ensure returns don’t cut too deeply into their margins. This starts with determining exactly how much a return costs your business. You should be already calculating a certain percentage of other inevitable expenses such as “spillage”, so why not returns as well? Once you have a benchmark cost, you can look at ways to lower it. This challenge is made increasingly complex if you sell heavy or fragile items, as offering free return shipping on those products will eat its way into your bottom-line in a big way, but these same items are also likely to be expensive and sought-after, so where do you find the balance? Create a list of all your products, along with their historical sales and return rates. Your budget will be much more accurate when you know how much each product costs to ship to the consumer and back to you. When you combine this data with insight on which products are most likely to be returned, you can forecast those expenses into your budget and adjust accordingly. Offering a great customer return process is fantastic, but you’re spinning your wheels if you’re not working to minimize returns in the first place. This is where customer feedback plays into the equation. Asking your customers, the right questions during the return process, you’ll gain a better understanding of what went wrong. Did the customer make a mistake? Was the product information incorrect? Is the item simply no longer needed? Does the product page display a different item color compared to the one that shipped? As you’re likely adding new products and categories on a somewhat regular basis, it’s good to crawl your site with a tool likeScreaming Frog to find thin product pages, title and meta tag issues, 404s, and other errors. It’s also a good idea to do a manual crawl yourself. An actual crawler won’t be able to discern unclear wording from accurate wording, and it won’t tell you when a product’s pictures are low quality. Thus, it’s best to use a tool and your own eyeballs to make sure your site is looking optimal. Eliminating these issues will reduce your overall return numbers, which translates directly into an improvement in your bottom line. Committing mistakes like shipping the wrong item to a customer is inexcusable. If you’re shipping low-value product, it probably makes sense to let them keep it and ship out a new one, which might help your brand reputation, but it’s not going to win you any business efficiency awards. Whether you’re handling the entire fulfillment process in-house or outsourcing parts of it, leveraging automated software is critical. Returns are costly for many reasons. First of all, the sale doesn’t actually get made.Further, a customer service rep might be involved in communicating with a customer and/or sending a return label. You’ll pay for the item to be shipped back and when it arrives, someone needs to receive and inspect it. It also needs to be put back in inventory or listed with other used products that can’t be sold for the original price. This is a lot of drain on your company. Implementing automated return management streamlines much of the process. Your margins will still take a hit, but you’ll have to do very little to get the item back to your warehouse, and you won’t have to update your inventory with each new return. 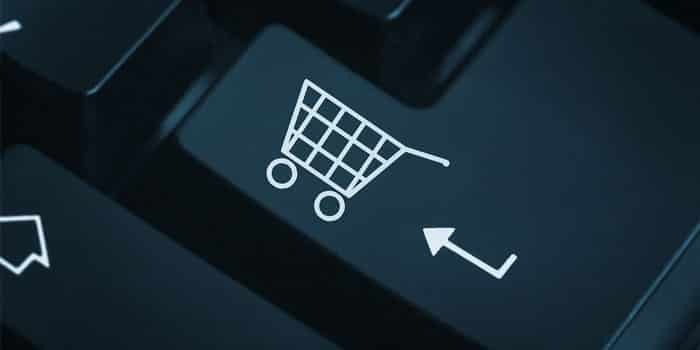 If you’re using a hosted e-commerce platform with free website themes, there’s bound to be an automated returns plugin or two you can try out. If you received a product that carried a strict seven-day return policy and you weren’t completely sure about it, would the short return policy affect your decision process? What about if that same product carried a 30-day return policy? Believe it or not, longer return windows actually decrease the likelihood of returns. If a customer isn’t satisfied with a particular product, or if the product they ordered isn’t the one that shipped, offer an exchange. You’ll still pay the shipping, but you’re also still moving a product at the end of the day. You can streamline this process by adding “would you like to exchange the product for something else?” as a follow-up when a user selects “wrong item was sent” as their reason for return. As with any business, it always pays to keep tabs on what the competition is doing. If one of your competitors is offering a return policy while yours is pretty strict, that’s going to hurt your business. Sure, it might limit your returns, but let’s remember what we said earlier in the article about strict return policies and customers eventually dropping off. High return rates can be deflating, making it harder to accurately assess the health of your business while creating more work for no immediate financial gain. However, if you look at them as an opportunity for converting returns into sales, you’ll be well on your way to building a loyal user base and a healthy revenue outlook.